Up next ! 2 of my original paintings will be featured in this all star line up in honor of Women's History month. 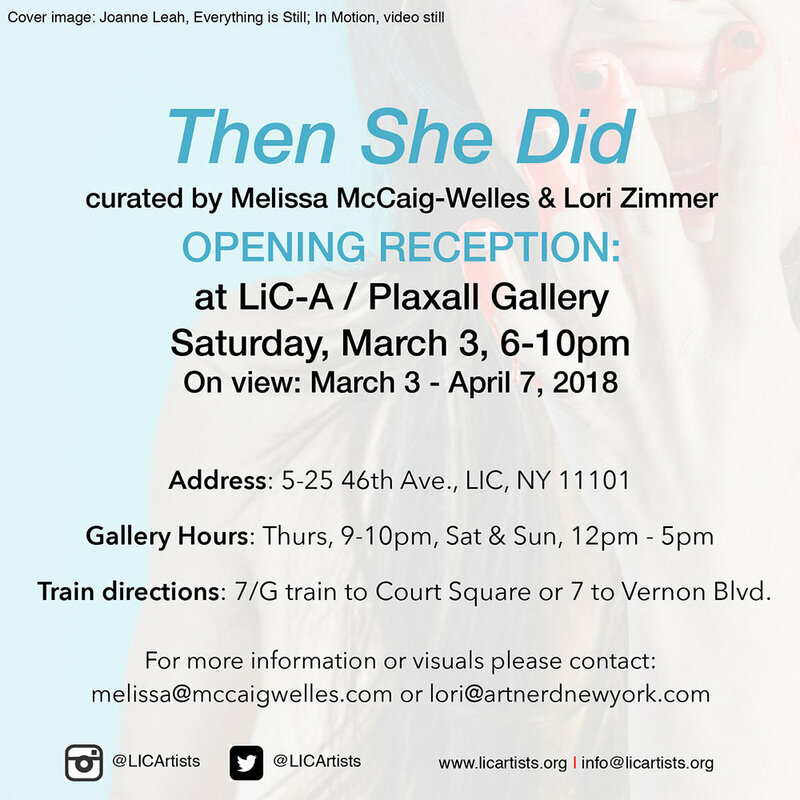 The curators are pleased to invite you for cocktails and conversation, at an intimate press preview of “Then She Did”, on Saturday March 3rd from 4-6pm at The Plaxall Gallery (5-25 46th Avenue LIC) with the curators and the artists in attendance. A public opening will follow from 6-10pm.t. Then She Did is a story, a moment, a change, a reflection, a movement forward; a space full of words, images, objects, people and their voices. Then She Did is a personal step of reckoning. It is the scream that is the loudest but often the most silent. It is the ugly and it is the most beautiful. Then She Did is the ordinary person who did something small that changed the entire world. 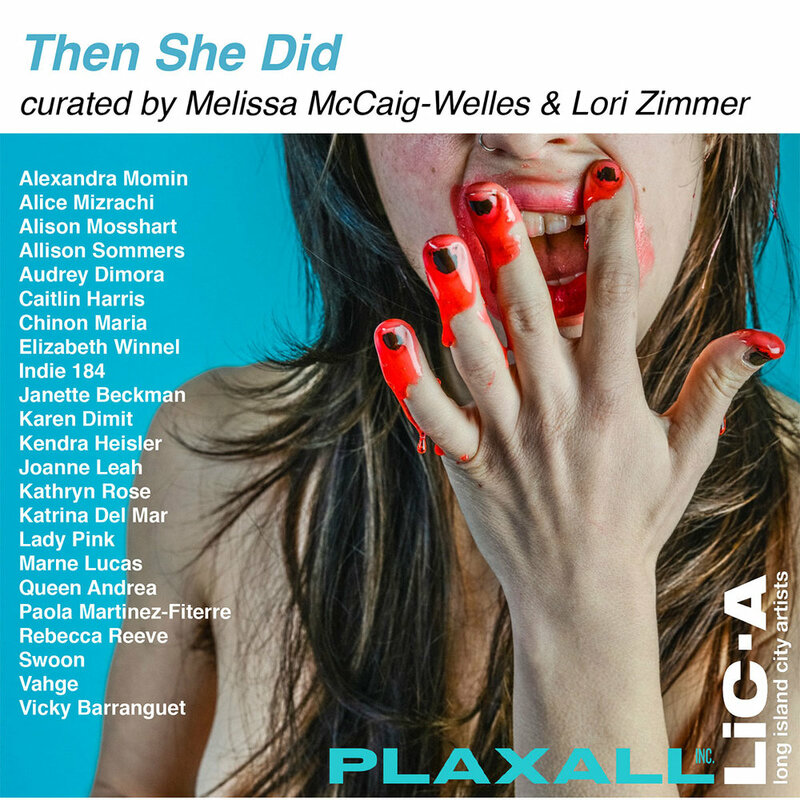 Then She Did is an exhibition of artists who tell us her story. The artists from Then She Did not only choose who they want to be but also how they want to think and how they want to influence others. They take us on a journey through the personal revolutions of everyday women in America, whose diverse methods and beliefs are only stronger when unified. The catalyst for change has become sidetracked with a judgmental wave, a seemingly widespread personal obsession with being “right” that has somehow taken precedence over working toward what’s right. Incessant attacks over doing too much or not enough, speaking or not speaking, forgetting to include a group or an issue, including too many groups or issues- we’ve begun to pick apart how we enact change, which deters change from happening itself. This distraction of in-fighting doesn’t get anyone anywhere, stalls progress, and creates enemies of allies. Then She Did presents various approaches and views on sexuality, strength, femininity, independence, support, societal norms, roles, methodology, art, and activism, which speak instead of shout, and invite discussion instead of criticism.